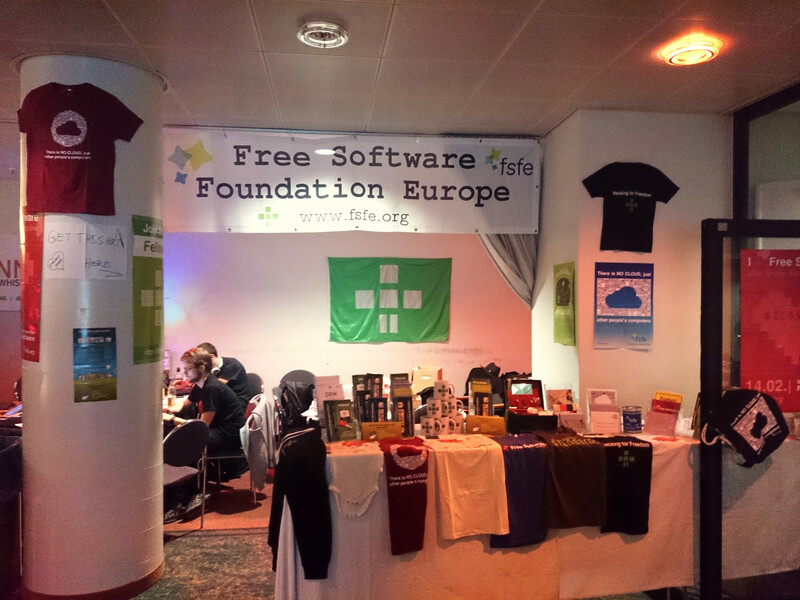 The Free Software Foundation Europe is dedicated to spread software freedom as one way into a Free Society. We do lobbying & public relations and we offer legal advice and interest representation of and for every Free Software project. This assembly is hosted for and by our members, friends and supporters to offer a common space to discuss, meet, hack and organise. Let's put the hacking back into politics! We bring a lot of merchandise to refinance our costs. A lot means around 6 big packing cases and a little bit of space to handle them ("I like to have a noCloud shirt in green in size XL" and so). We will also bring banner and a lot of promotion material. (see here from last year: https://blog.3rik.cc/wp-content/uploads/sites/3/2016/10/2015-fsfe-booth-32c3.jpg)This year we wanted to bring a small light because it was often kind of dark in our assembly. What makes our assembly interesting? We bring together a pan-European community of people interested in the political and societal aspects of Free Software. For our community, CCC and Fosdem are nowadays the biggest come-togethers and important for strategic planning involving other communities. We are an integral part of the Noisy Square and we have good experience at the location to the door and part of the "hacker area". We already started to contact the other organisations from the Noisy Square. We are part of the noisy square, we run our assembly since 2013 in Hamburg and we would simply love to have the same place again, so our community and everyone from the outside interested has an easy time to find us. We have been very happy with our space and would love to have the same again. helps individuals and organisations to understand how Free Software contributes to freedom, transparency, and self-determination. enhances users' rights by abolishing barriers to Free Software adoption. Encourages people to use and develop Free Software. This page was last modified on 28 December 2016, at 14:51. This page has been accessed 5,525 times.